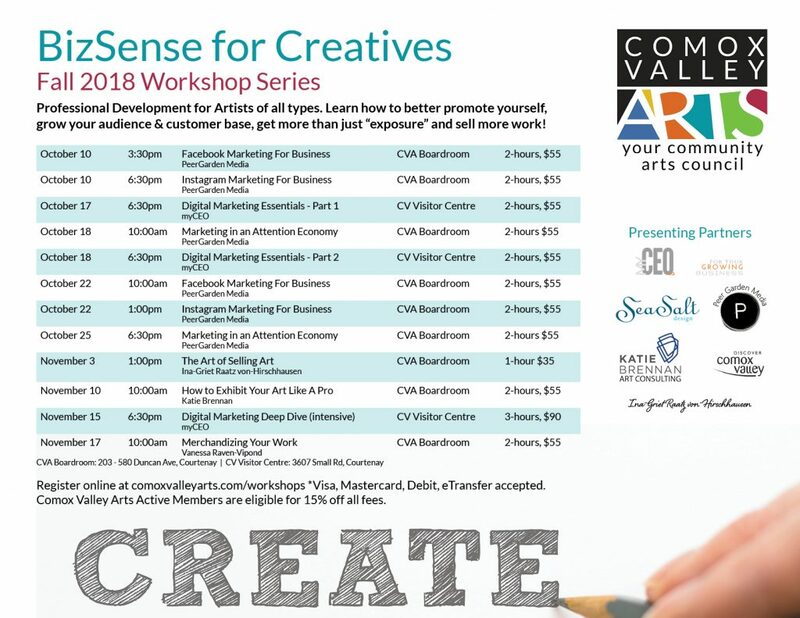 Biz Sense for Creatives – Fall 2018 edition! 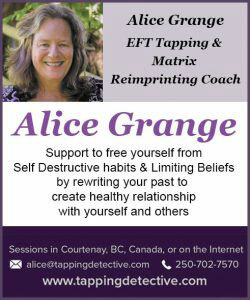 Comox Valley Arts launches their fall series of courses for the entrepreneurial artist – Business Sense for Creatives. 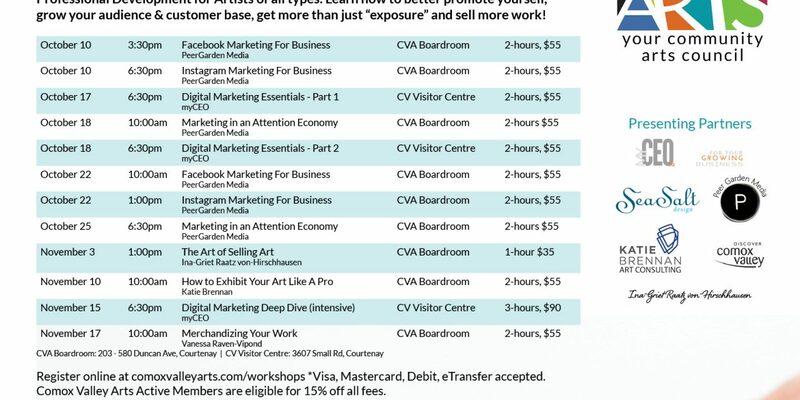 Nine different workshops cover everything you need to know about digital marketing, social media and selling your work. This series will give new and established creators a boost in confidence and competence promoting their creative products – applicable for any artform from painting to music to writing to photography to pottery. We continue our partnership with local social media company, Peer Garden Media, for six sessions of three different workshops. Geared toward the social-media-intimidated, Peer Garden guru Eugene Chung makes Facebook and Instagram comfortable and easy, and offers personalized guidance in each small session. Explore all the other aspects of digital marketing strategy with Vancouver’s myCEO. Learn about managing your own website, why Search Engine Optimization matters and how to do it simply, the power behind your email newsletter and mailing list, how to leverage website listings to promote your work, and how to decide what the right way, right time, right amount and right words are. 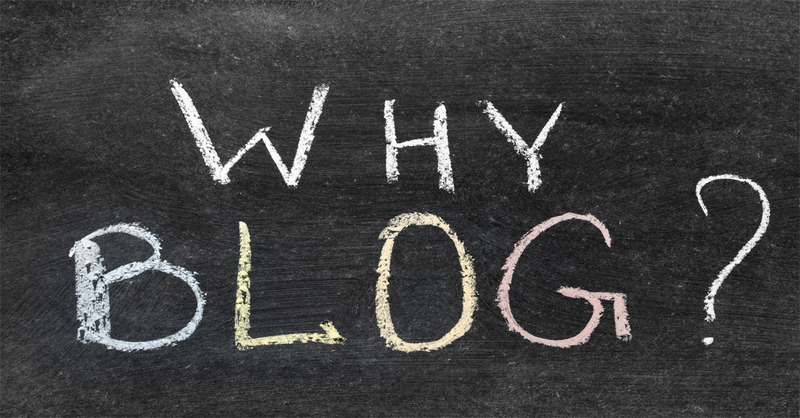 MyCEO is a Vancouver-based coaching and digital marketing firm that specializes in providing education and seminars using content curated to meet the needs of this important and vibrant artist/creative community. Facilitators Betty Hasker and Glorie Averbach bring more than 20 years of expertise and an easy-going, approachable style. “We discovered myCEO through their work with the Craft Council of BC, and clinics they offer in Vancouver, and felt that creative entrepreneurs here may find similar benefit from their programs,” says McHugh. And for visual artists looking to sell more work, there are three specific workshops: The Art of Selling Art with Ina-Griet Raatz von Hirschhausen, How to Exhibit Your Work Like a Pro with Katie Brennan Art Consulting, and Making Merchandise From Your Art with Vanessa Raven-Vipond of Sea Salt Design.